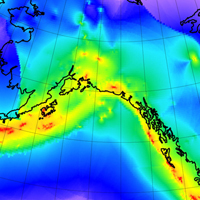 A global model that forecasts the rates of shallow, large-magnitude earthquakes is formulated by combining seismic and geodetic data. 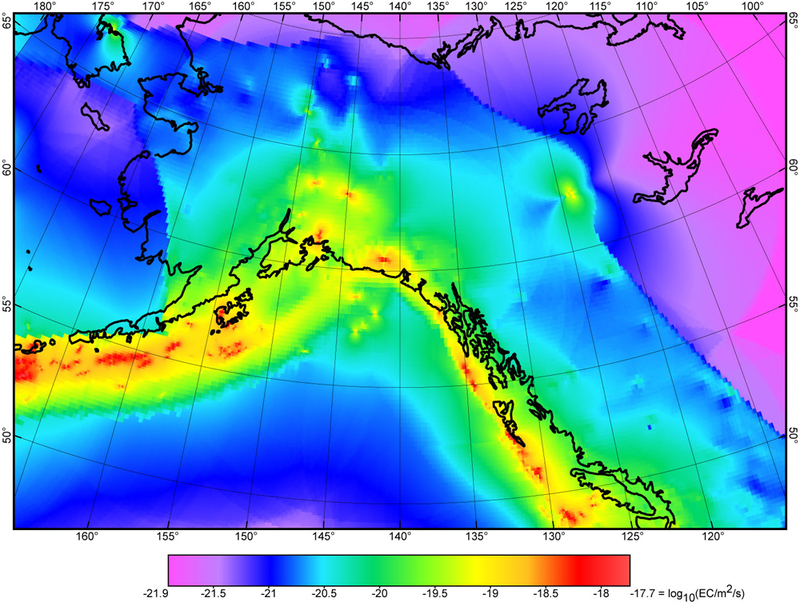 The model provides better resolution and forecasts than previous models that used only seismic or geodetic data. The global model compares well with the California regional model that includes geologic data on specific fault planes. Over time, such models can be used by financial experts to develop a catastrophe bond market, providing opportunities for investors, the insurance industry and communities facing significant seismic risks. Geoscientists cannot predict earthquakes, but they can develop forecasts of the long-term rates of earthquakes in tectonic regions. 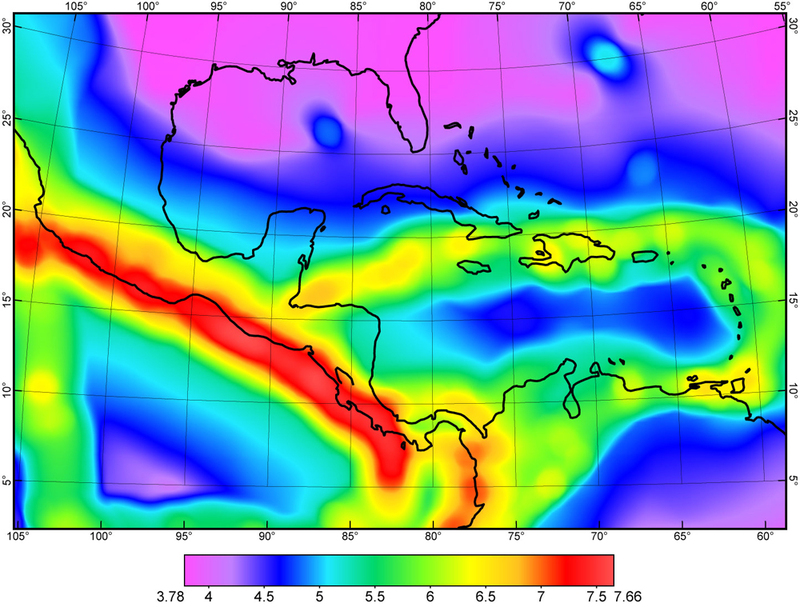 Many regional to global seismicity models have been developed using historical seismic records, fault structures and geodetic interseismic plate velocities. As more data and new methods have become available, researchers have begun to combine data sets to create higher resolution models. Here the authors combine the Global Centroid Moment Tensor (CMT) catalog of 4,602 shallow earthquakes of magnitude 6 and larger from 1977 to 2004 with the Global Strain Rate Map version 2 that contains 22,415 GPS velocities. With this combination of data the authors are able to consider the buildup of stress on a fault to its potential earthquake rupture point (via the strain rate map) and the release of stress on the fault in a sudden rupture (via the shallow earthquakes). The combined global model is called Global Earthquake Activity Rate model one [GEAR1]. GEAR1 outperforms either seismic or geodetic models. When compared with the Unified California Earthquake Rupture Forecast version 3 (UCERF3) regional model that includes specific fault planes, GEAR1 forecasts a similar number of earthquakes per century, even though GEAR1 does not include any specific fault planes. GEAR1 can be used to calculate the earthquake magnitude for which there is a 1% annual probability of occurrence in circles of 100-km radius. Thus the model can estimate the risk of triggering a parametric catastrophe bond payment based on this criterion. So GEAR1 can help drive a global financial risk market with benefits for investors, the insurance industry and communities with seismic risk. P. Bird, D. D. Jackson, Y. Y. Kagan, C. Kreemer, and R. S. Stein, GEAR1: A Global Earthquake Activity Rate Model Constructed from Geodetic Strain Rates and Smoothed Seismicity, Bulletin of the Seismological Society of America, 105(5), 2538-2554, doi:10.1785/0120150058.